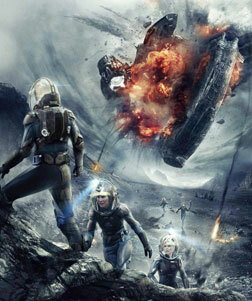 Prometheus (Hindi), a Hindi movie, is not currently screening in Hyderabad. 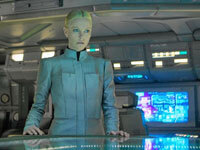 Prometheus is a customized ship that takes a crew, led by Meredith Vickers (Charlize Theron), to the distant moon LV-223. 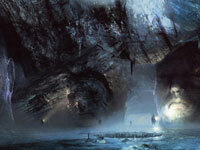 The crew's quest is to find the origins of mankind. 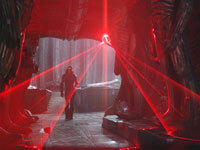 However, the humans realise that they are no match for the aliens even if they are extinct. 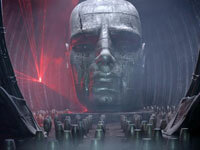 According to Greek mythology, Prometheus was a Titan who created humankind from clay. It is fitting, therefore, that a spaceship leading a group of scientists into the unknown, to explore the possibility of discovering the creators of human DNA, is named after this errant God. The movie begins with a strange alien giant watching his ship leave Earth, after which he swallows a semi-liquid substance that causes his body to explode and fall into the huge river below. The particles of his body disperse and form chromosomes that will eventually define the structure of a human body. fullhyd.com has 700,000+ monthly visits. 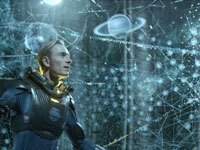 Tell Hyderabad what you feel about Prometheus (Hindi), and then also see all user reviews for Prometheus (Hindi)!